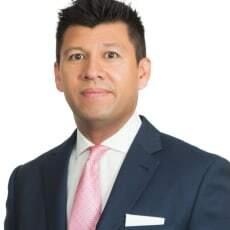 Ian Mann is head of Harneys’ offshore litigation and restructuring department in Hong Kong, servicing Asia-based clients involved in offshore litigation. He joined Harneys in 2009 and became a partner in 2011. Ian is a fellow of INSOL International and has specialist cross-border restructuring expertise. He is also a fellow of the Chartered Institute of Arbitrators. Ian specialises in restructuring, insolvency, shareholders’ disputes and contentious trusts. He is an experienced advocate who has a number of reported cases in the High Court and Court of Appeal in England. He continues to appear regularly as advocate in the Commercial Division of the Eastern Caribbean Supreme Court and Court of Appeal. Prior to moving offshore, Ian practised as a barrister at 13 King’s Bench Walk, Chambers of Roger Ellis QC, London. Ian is appointed as BVI counsel to the joint administrators of the estate of Nina Wang and has been involved in some of the region’s largest offshore insolvency restructurings, including Titan Petrochemicals Group, Suntech Power Holdings Co Ltd, LDK Solar Co and Kaisa Group Holdings Ltd.
Ian has been involved in numerous shareholder disputes (including Danone Asia Pte Limited v. Wahaha Group) in relation to a variety of offshore joint venture vehicles owning substantial operations in China, Japan and Indonesia, and several contentious trusts applications involving substantial Hong Kong and China-based assets. Ian is the co-general editor of British Virgin Islands Commercial Law, Sweet & Maxwell, now in its third edition, and is also the co-general editor of Bermuda Commercial Law, Sweet & Maxwell (2016). He teaches on the INSOL Fellowship Course as well the HK CPA restructuring and insolvency faculty professional diploma in insolvency. Ian is a well known public speaker, lecturing on specialist offshore litigation topics. Ian is ranked as a leading offshore lawyer by Chambers and Chambers Asia-Pacific, and is recognised as being among the world’s leading asset recovery, restructuring, and insolvency and private-client lawyers by Who’s Who Legal 2016. He is also one of 10 offshore lawyers recognised for client service in Asia by Asian Legal Business in 2016.